and tales for wee folk and their elders!!" Award winning children’s entertainer, MaryLee Sunseri, performs as a musical “Mother Goose." Everyone is invited to participate! Children are quickly engaged with traditional songs and tales performed with her voice, harp, small guitar and recorder. 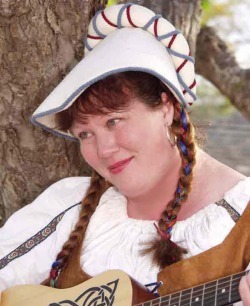 MaryLee brings her shows to schools, libraries, renaissance faires and children’s parties.